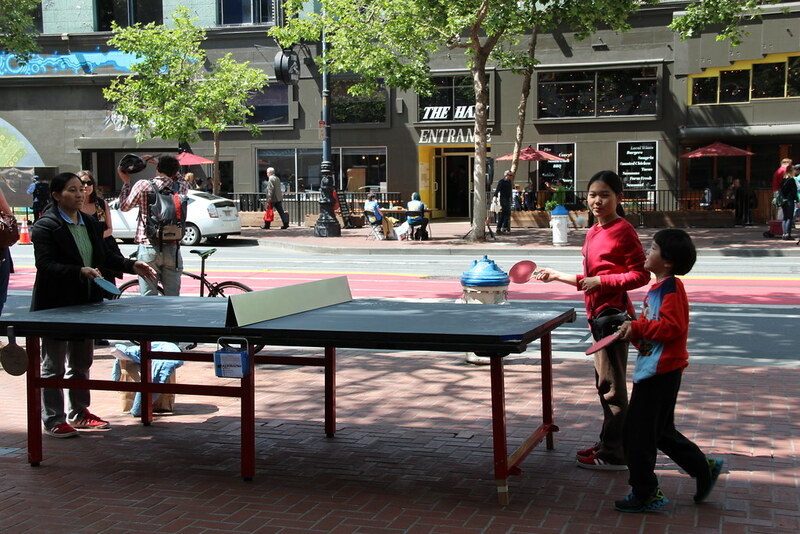 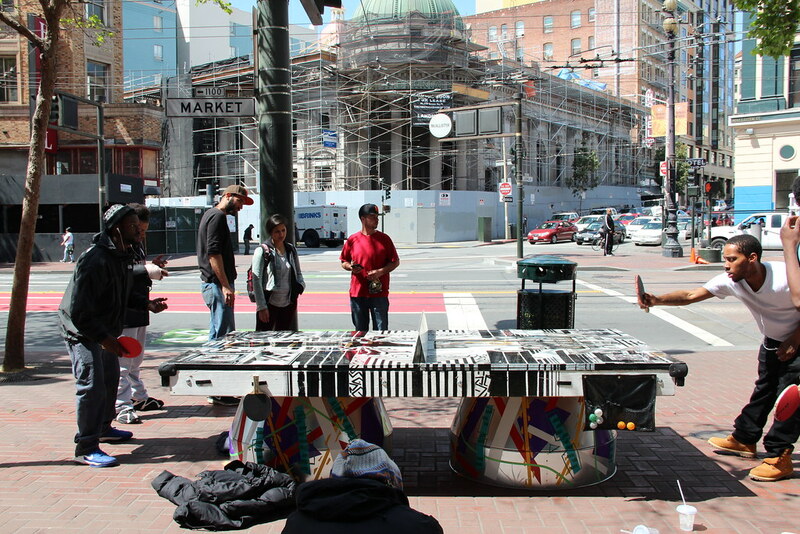 Boeddeker Park at 246 Eddy St.
An artistic ping pong table that promotes play and community. 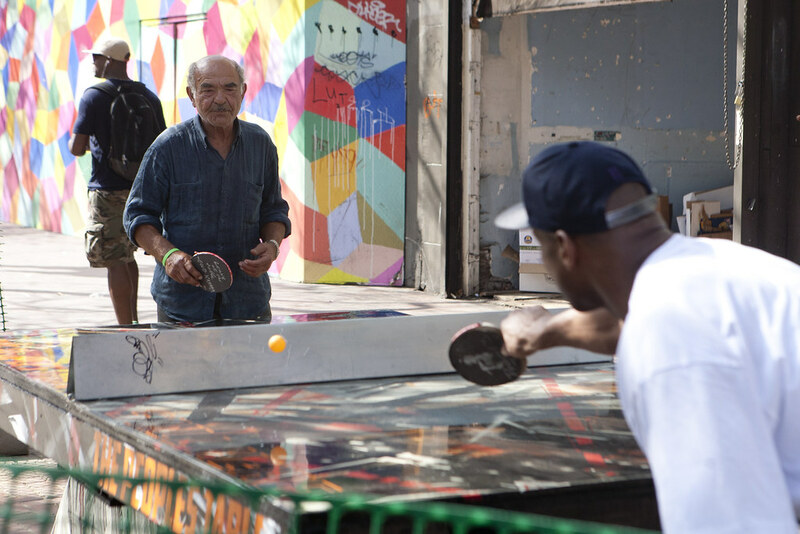 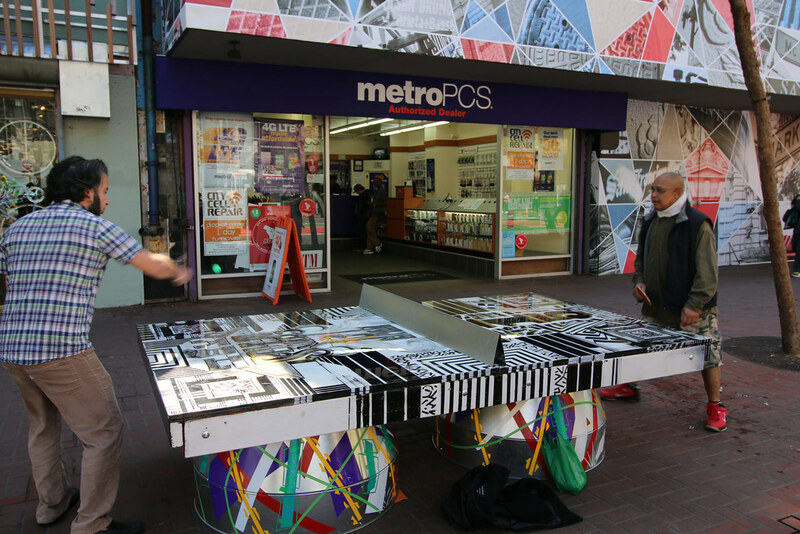 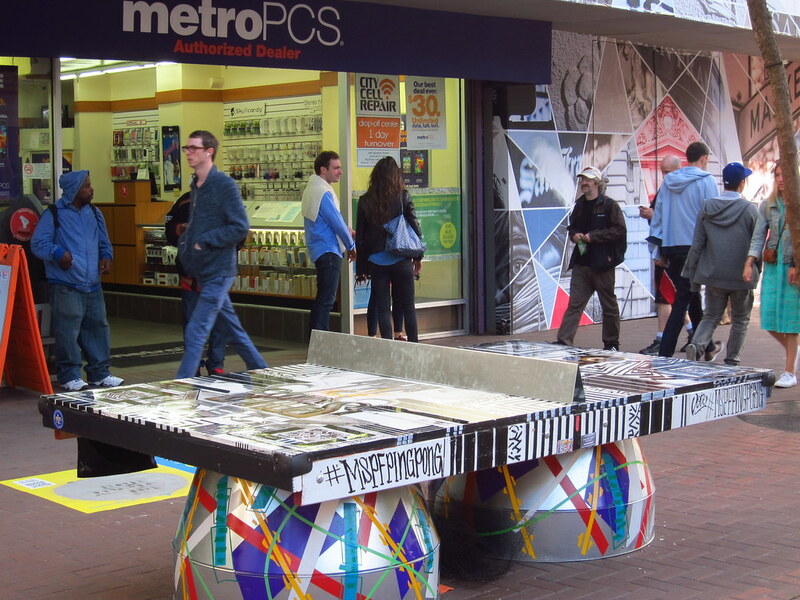 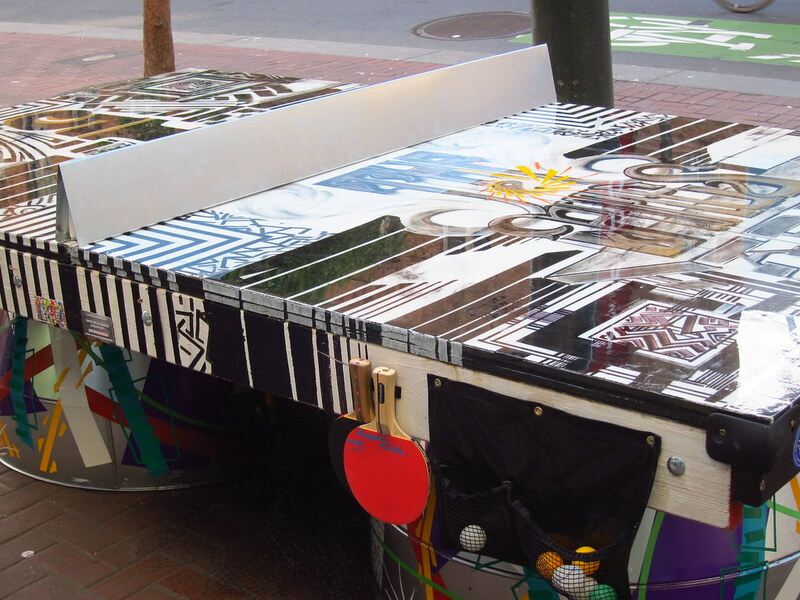 The People's Table is a free, outdoor, and artistically designed ping pong table promoting real connections between people of diverse communities through play and art, focusing on areas with a need for positive social and civic engagement. 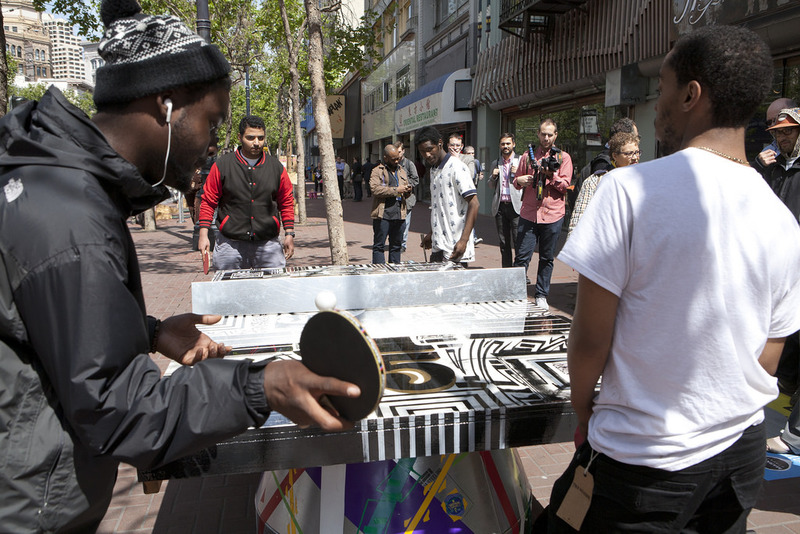 This project came out of Market Street Prototyping Festival 2015 and participated in the 2016 Market Street Prototyping Festival's Incubation program. 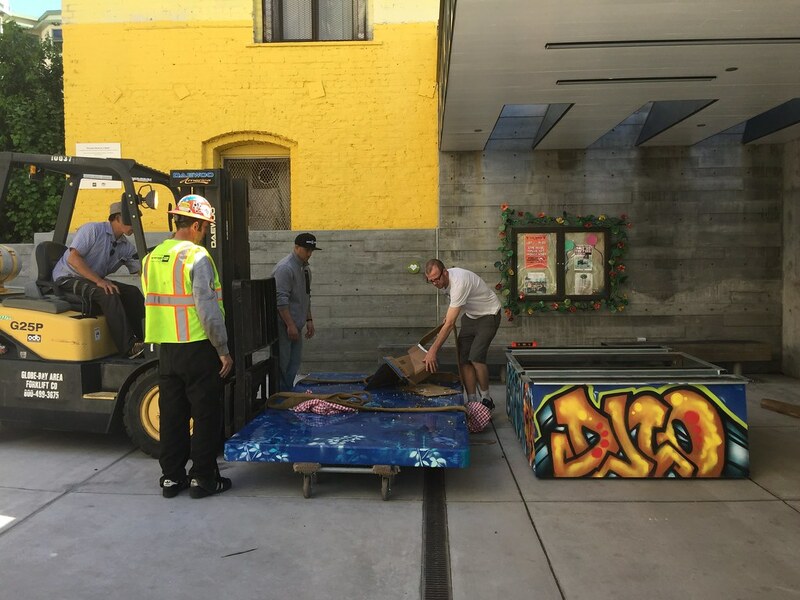 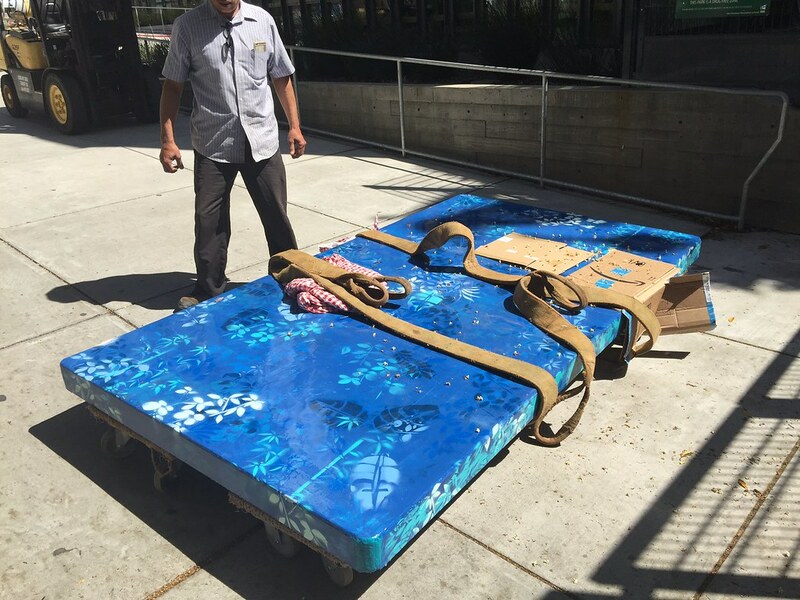 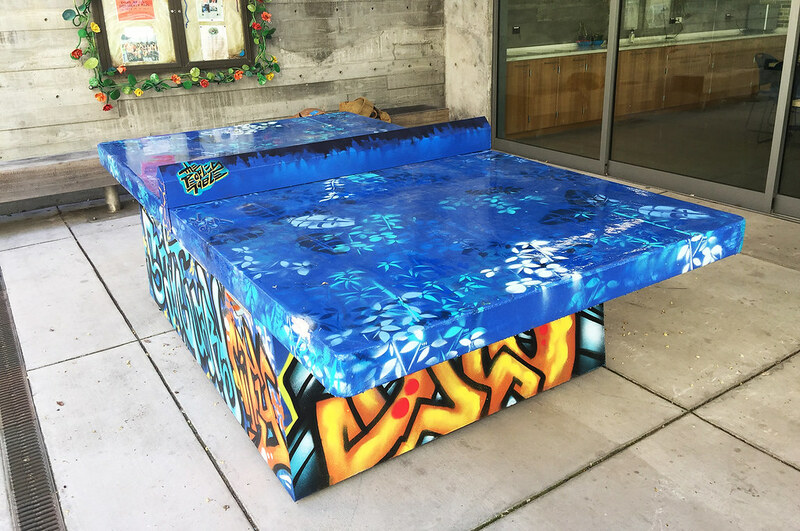 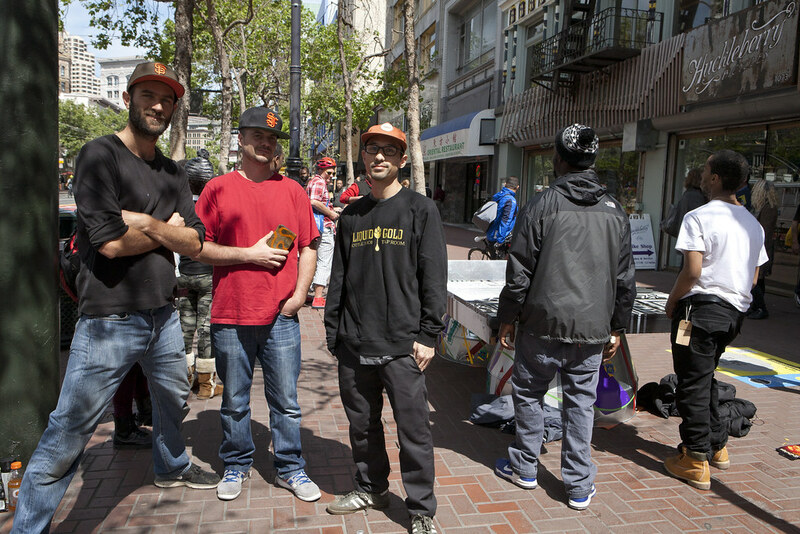 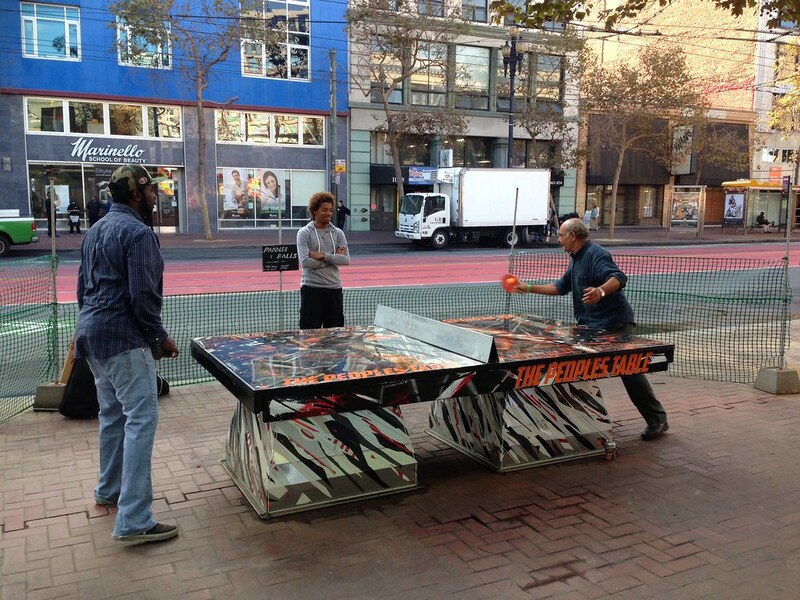 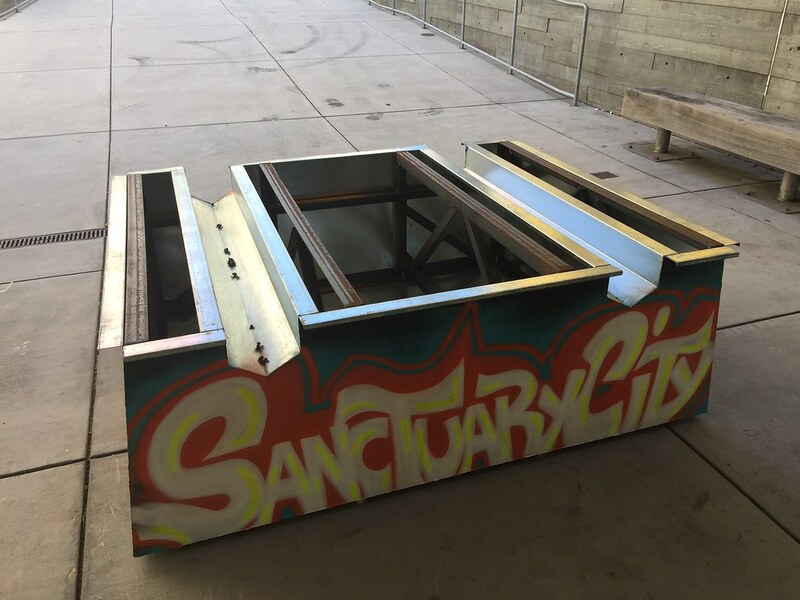 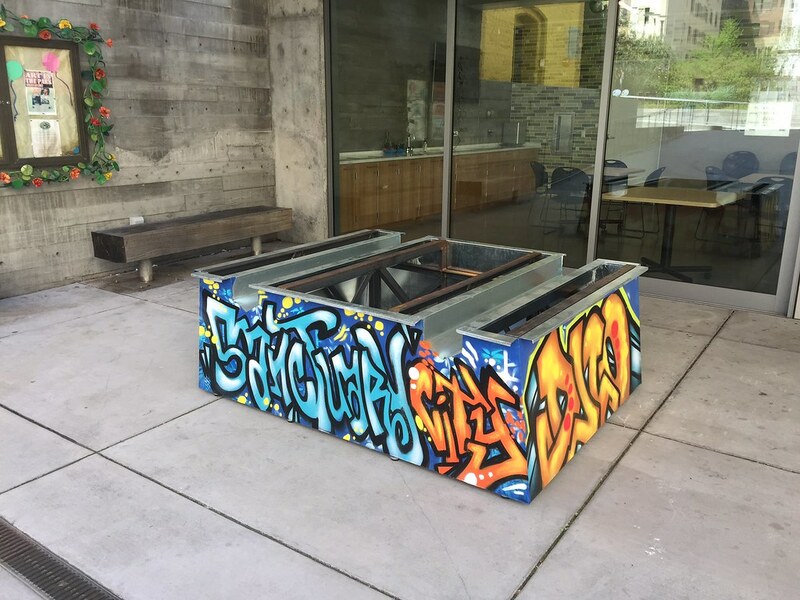 The table is installed within Boeddeker Park, which lies at the heart of the Tenderloin neighborhood and is within walking distance of 50,000 people, many of whom live at or below the poverty line.